Working moms don’t have a lot of time to whip up elaborate recipes, but we still want to be able to participate in and contribute homemade dishes to potlucks and other social occasions. 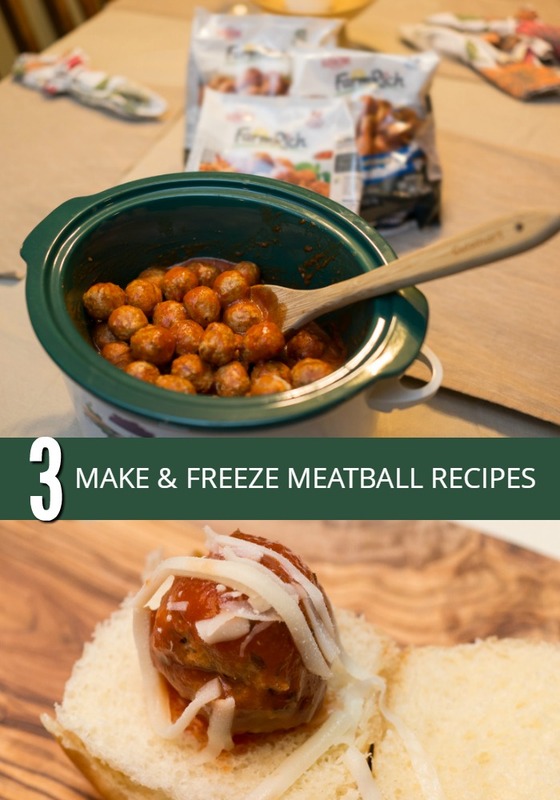 That’s why we’re partnering with Farm Rich to highlight a few easy make-ahead slow cooker meatball recipes for appetizers and meals to assemble in bulk and freeze. Whenever an event comes up, you already have what you need and can simply heat and serve your prepped dish in the slow cooker on the day of your event. These ideas will come in handy for occasions that happen on a work/school day, or anytime you need a quick, homecooked dish. 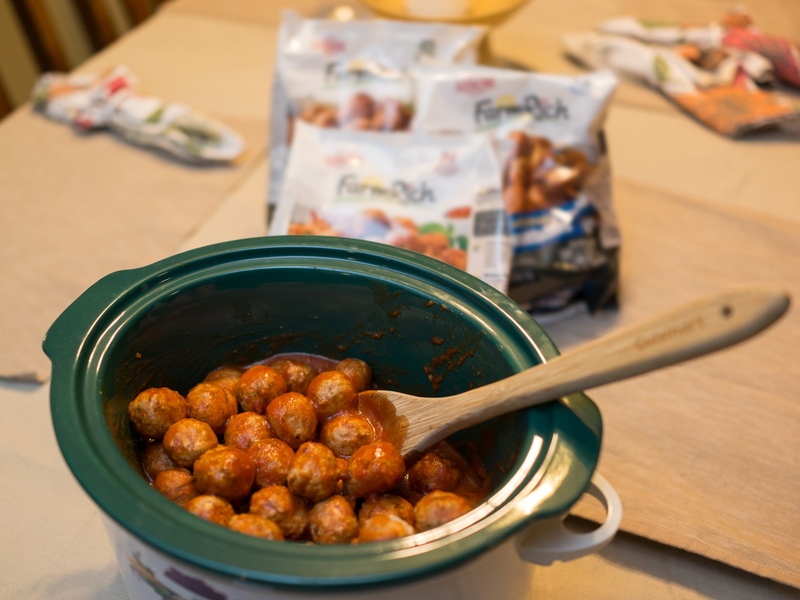 The folks from Farm Rich are hitting the road to hand out free Meatball samples, recipes ideas, and food inspirations to help busy shoppers during the New Year. If you live near me (greater Cincinnati area), look for the truck at Walmart locations starting this weekend, as well as Jan. 3-4 and Jan 21. Get more details about specific times and locations. 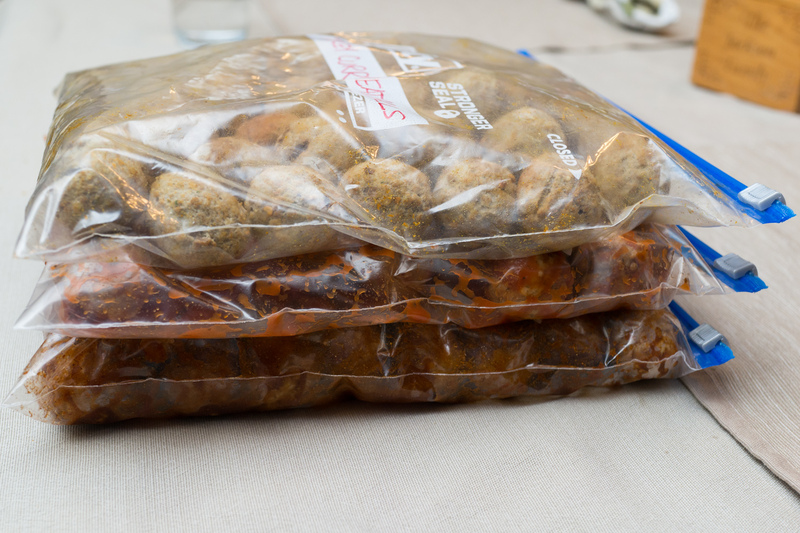 Remember to have plenty of 1- or 2-gallon-size freezer bags on hand before you begin assembling your meatball recipes. These will help you keep everything fresh in the freezer until you’re ready to fire up your slow cooker. Double the other ingredients in any of these recipes if you use a 60-ounce package of Farm Rich Meatballs. Farm Rich Meatballs are gluten free, and come in three varieties—Turkey, Original and Italian Style—with up to 13g of protein per serving. 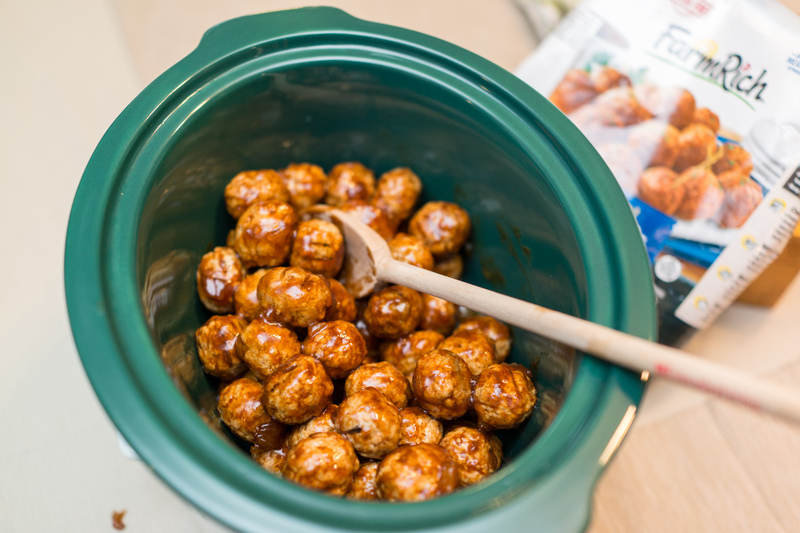 Turn up the heat and give your guests a kick with this Cajun-inspired Meatball appetizer. Combine and toss all ingredients in one large freezer bag. Squeeze out excess air from bag as you zip it closed. Store the bag in freezer until the day you’re ready to cook and serve. Simmer in slow cooker for 6 to 8 hours on low or 3 to 4 hours on high. Prep these Italian-style Meatballs ahead and enjoy mini-sub sliders baked with cheese for an appetizer or main dish. 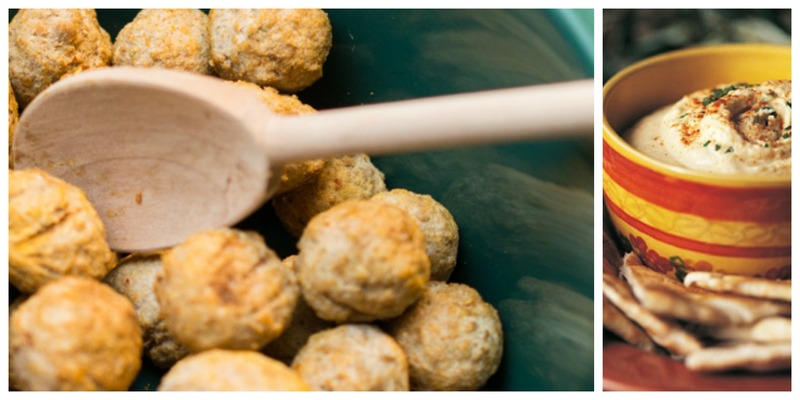 Combine and toss all meatballs and sauce in one large freezer bag. 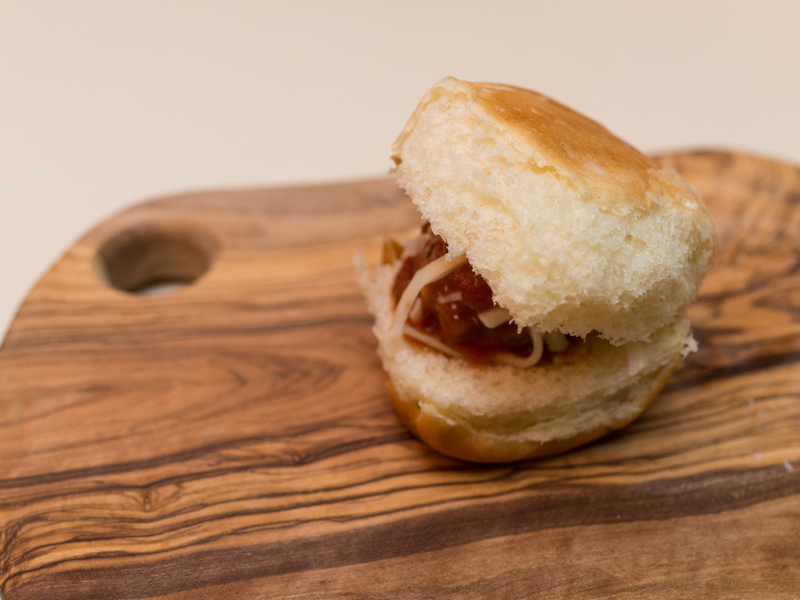 Place one meatball, a sprinkle of mozzarella, a sprinkle of Parmesan, and a bit of sauce on each roll. Bake sandwiches in hot oven until cheeses melt, about 7 minutes. These Turkey Meatballs have a rich, spicy flavor that’s not too hot and pairs well with hummus and pita (or naan bread). Get more tips, hacks, recipes, and delicious food from Farm Rich to help simplify your everyday life.